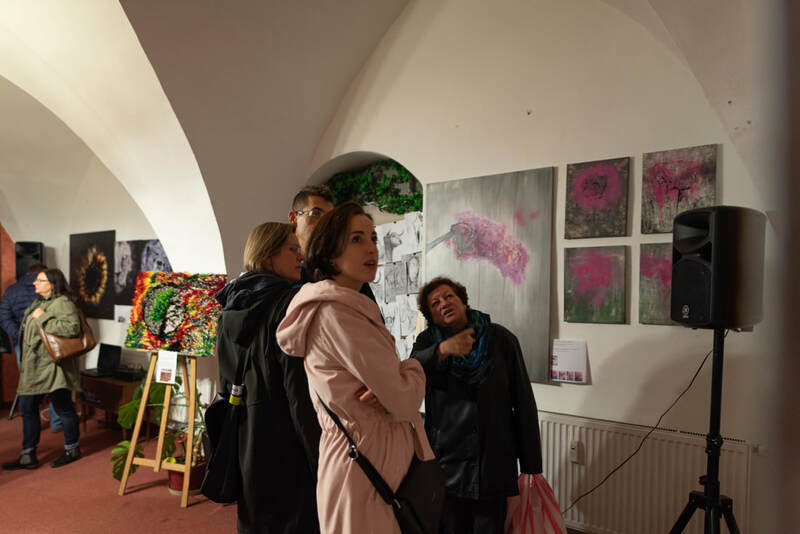 Check out the info for previous and ongoing exhibitions bellow. 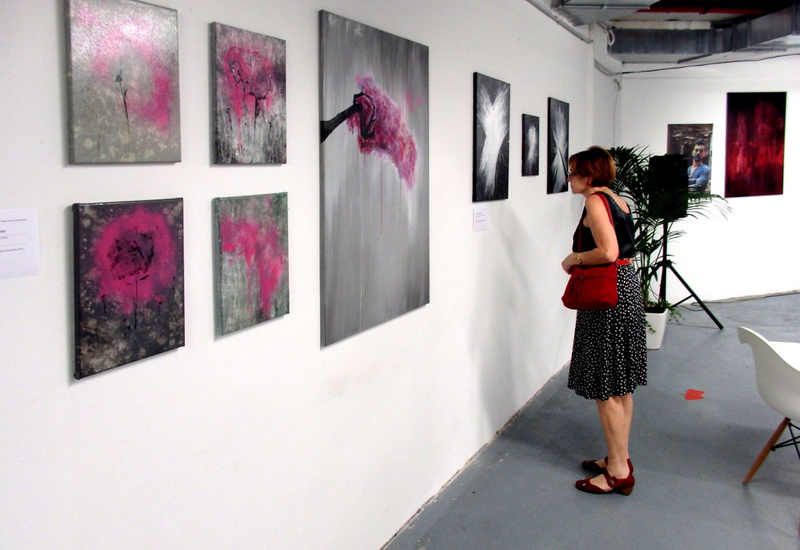 There is no ongoing exhibition at the moment. 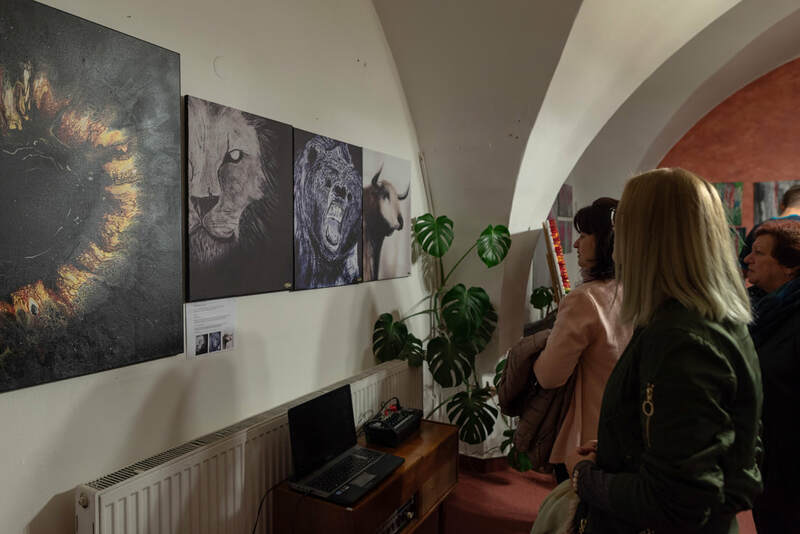 The date of the next exhibition or auction will be presented at the Home site and my socials. 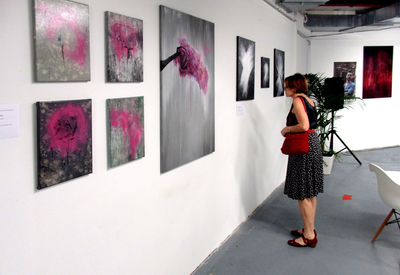 There are 3 exhibited paintings from the Night skies series. 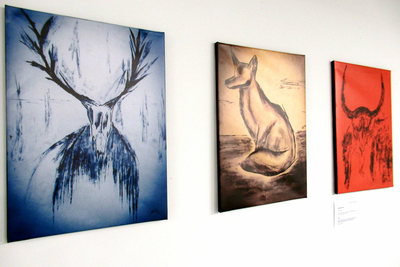 All are the size of 20x20cm and are to be seen at the Art Gallery in Znojmo. 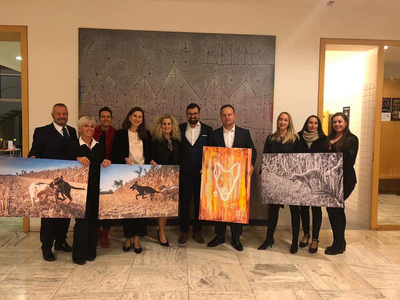 The paintings were sold in auction for 80€. 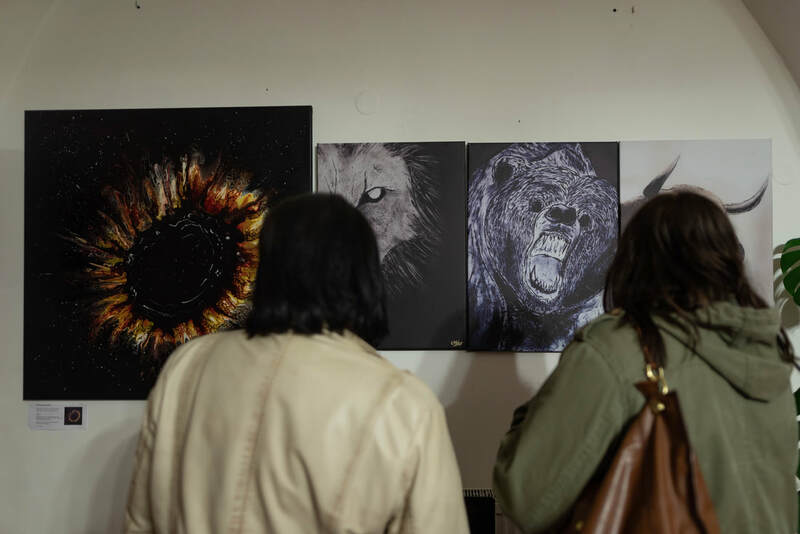 The whole price made in auction has been used for buying granule and cans for dogs. What dogs need the most in their life is a hooman, for whom it can live and whom it will adore. 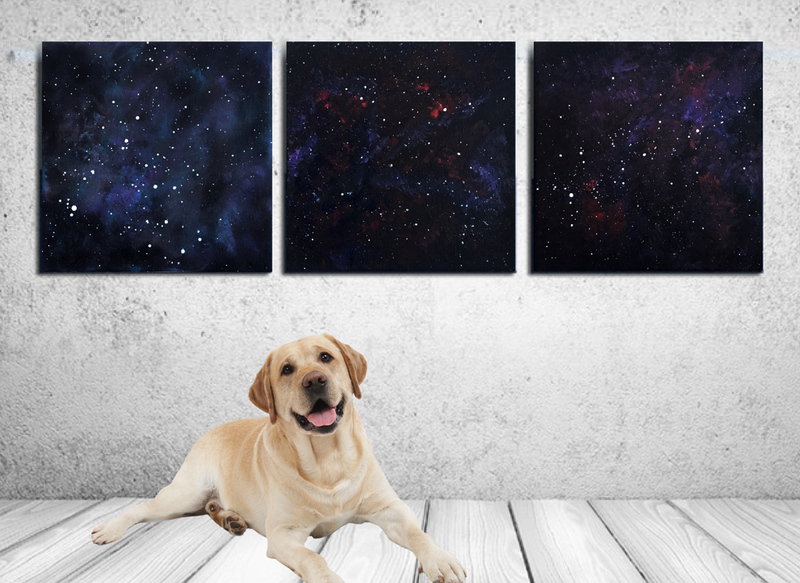 A hooman is a whole universe in eyes of a dog. 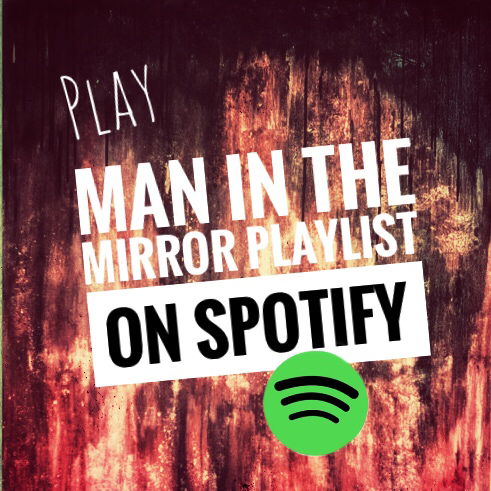 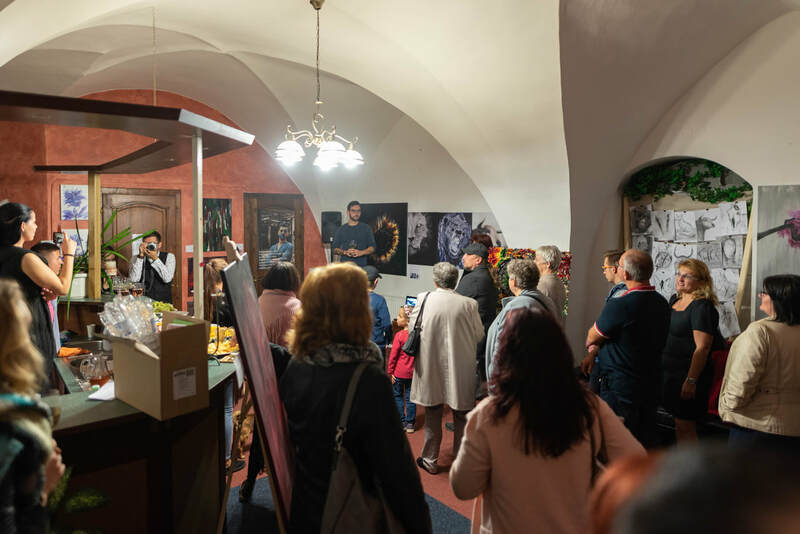 The Man in the mirror exhibition was set between November 2nd and 30th 2018 in Art gallery, Zelenářská st. 7, Znojmo. You could see over 30 original paintings and almost 40 original drawings. 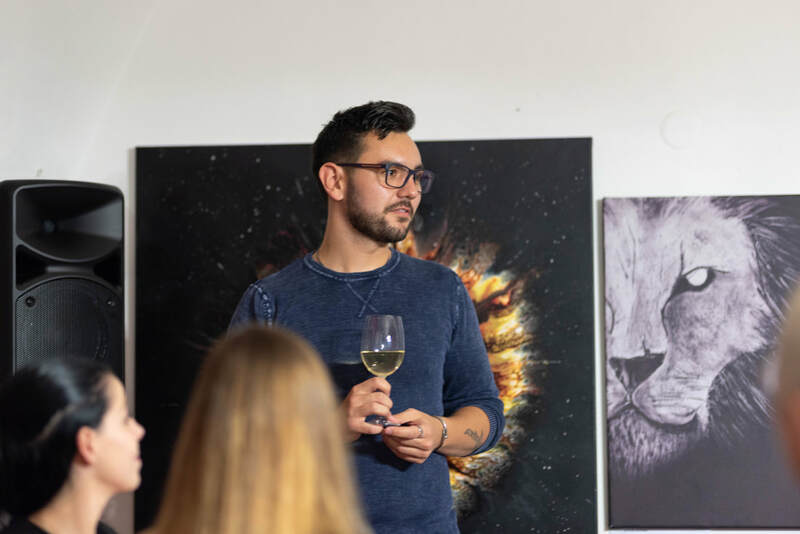 Photography by Milos Gotz. 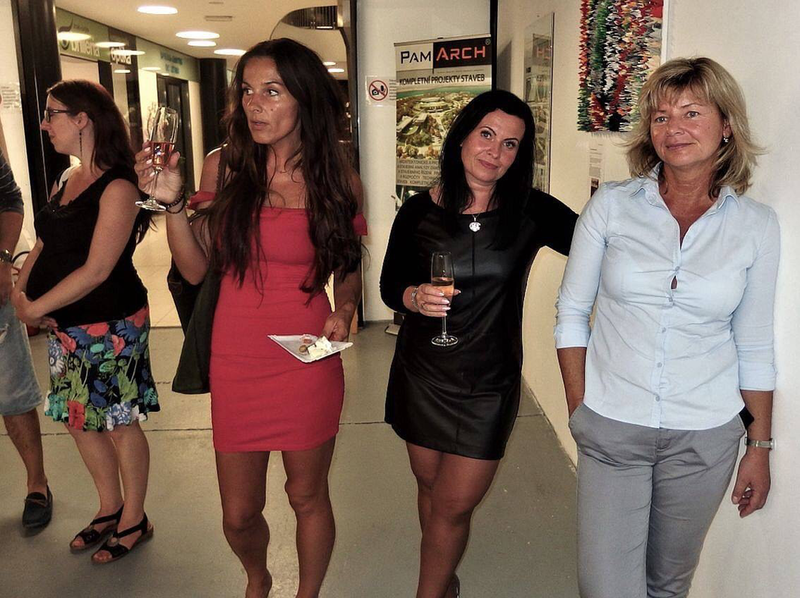 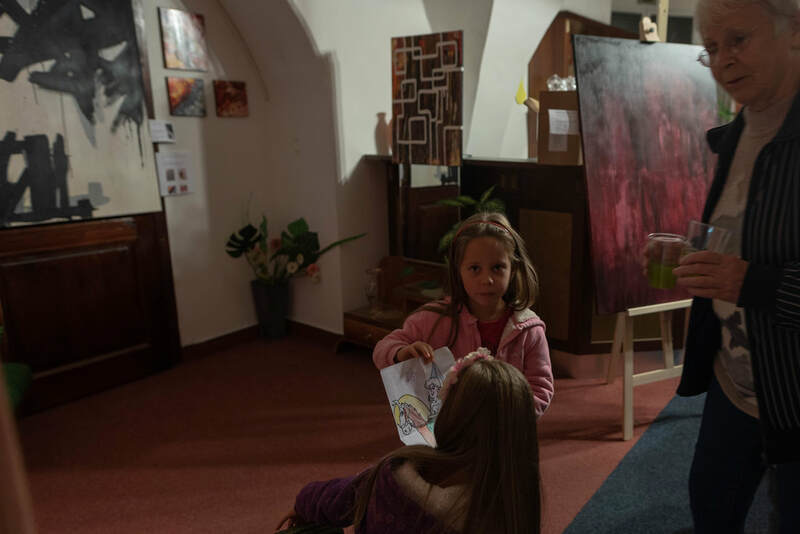 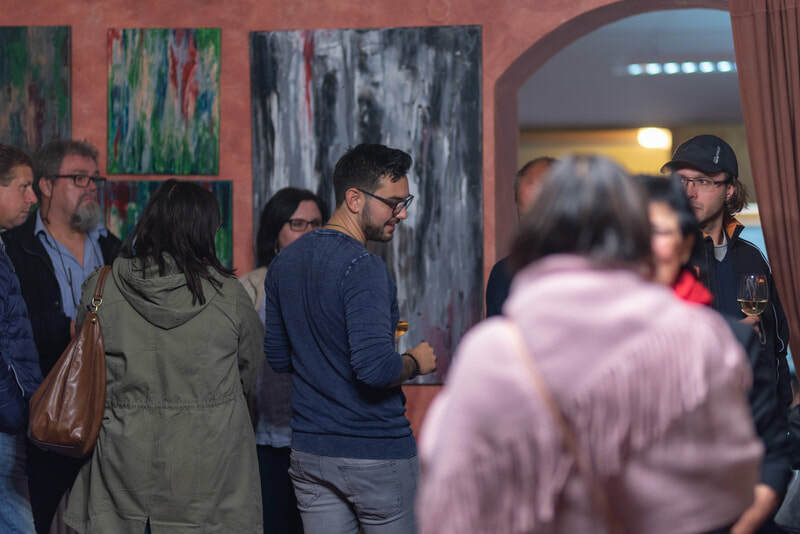 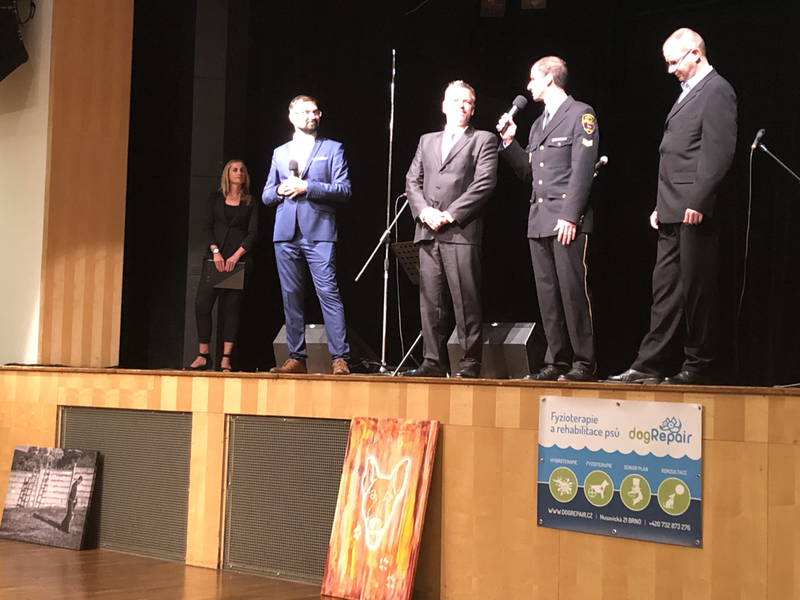 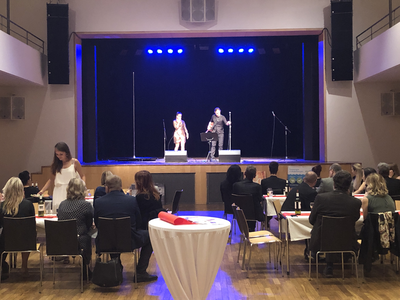 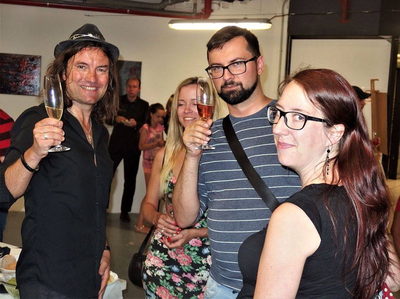 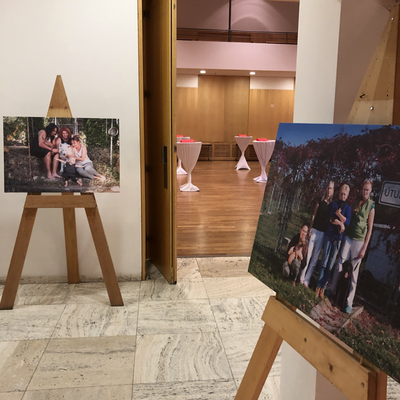 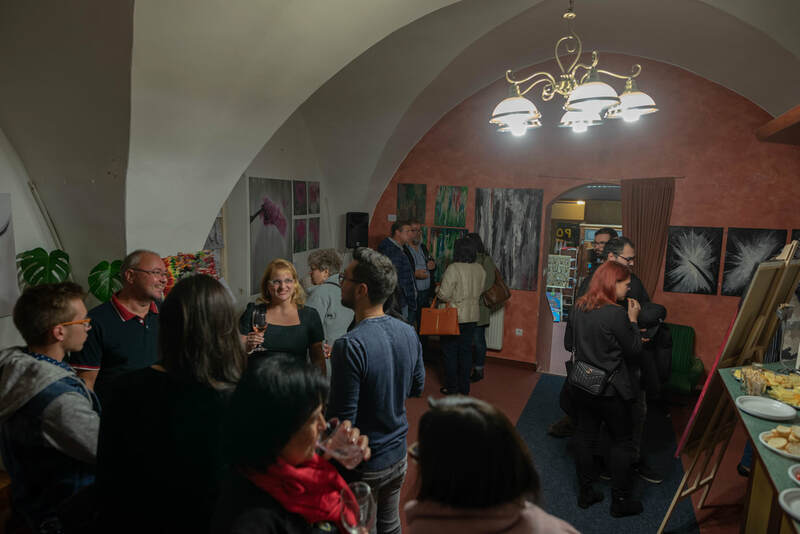 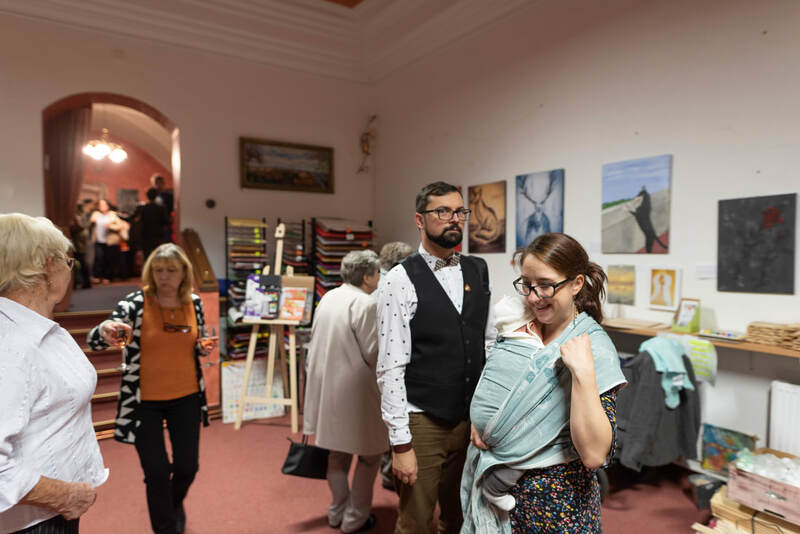 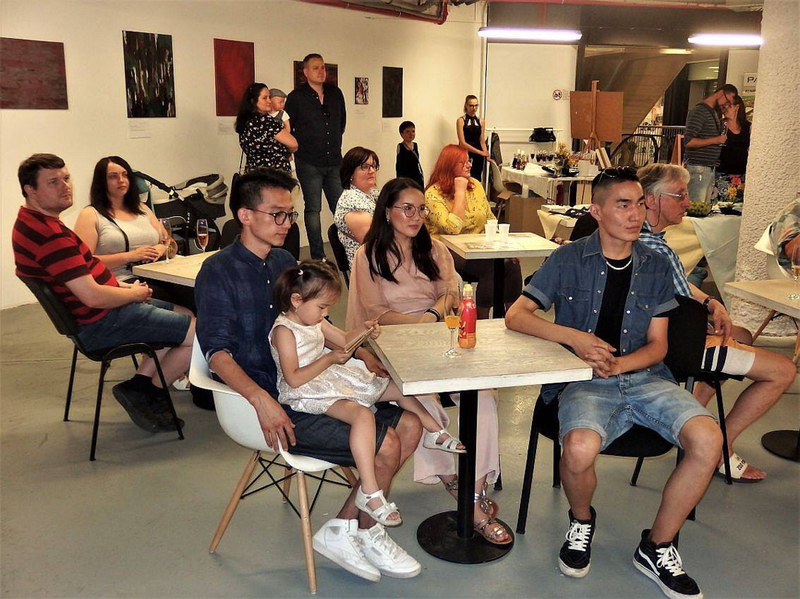 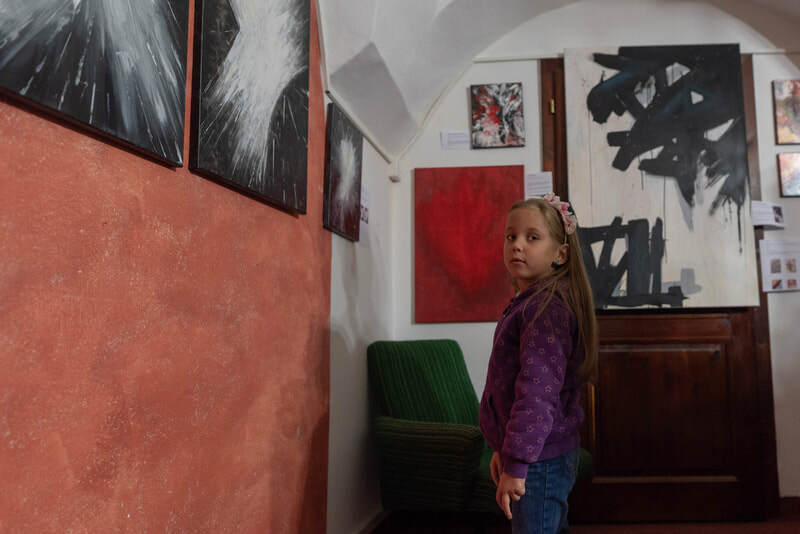 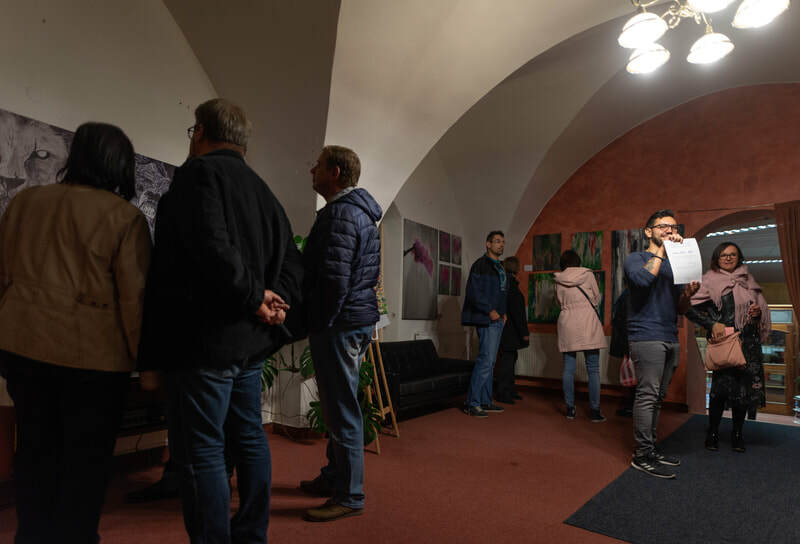 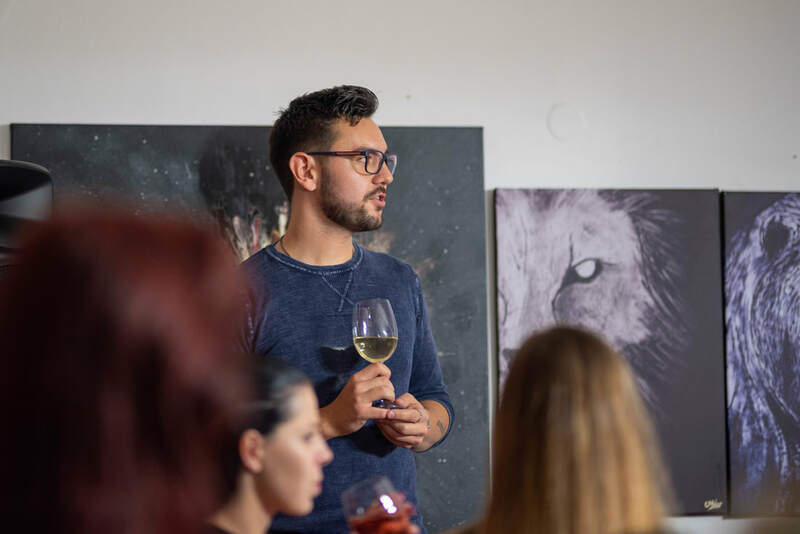 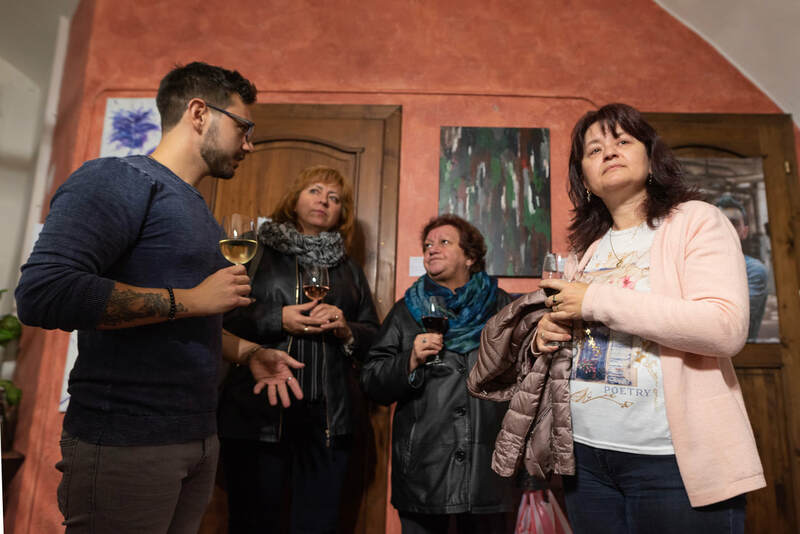 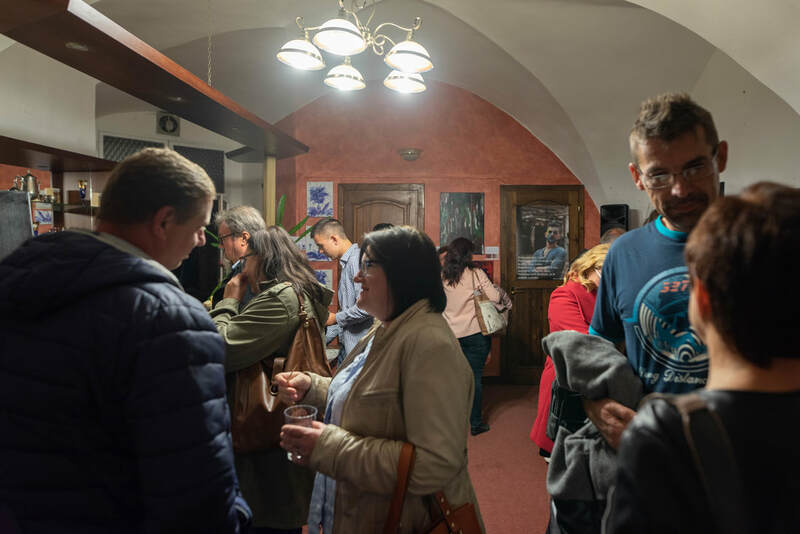 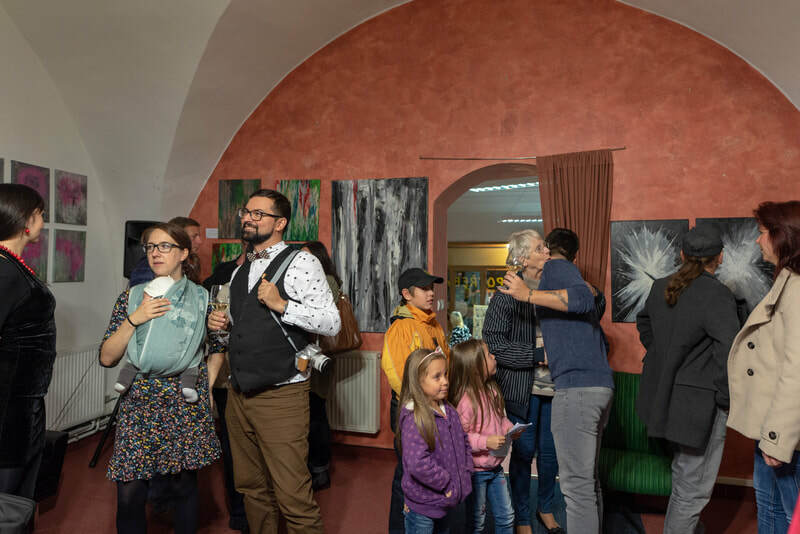 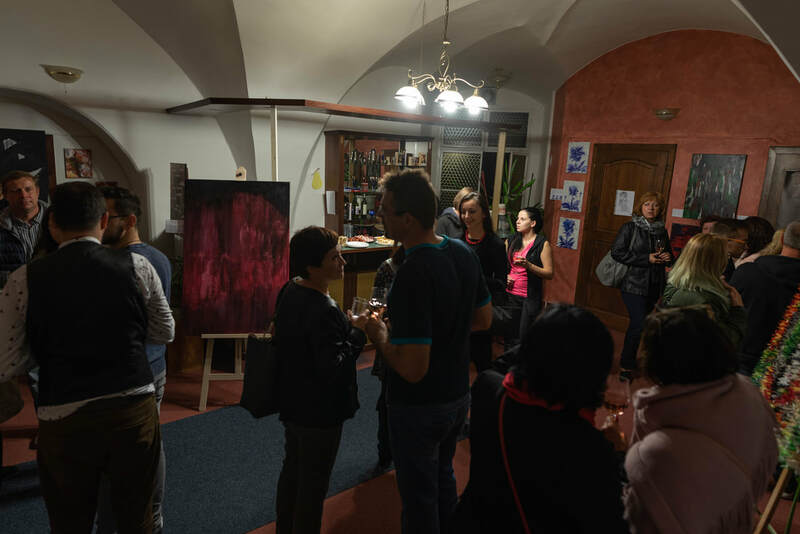 The painting exhibition took place in CC Semilasso in Brno on a gala evening Families for dogs in cooperation with the evening organizator Propomoc r.a.(Beneficial help association). The purpose of the evening was to support dogs and specically through The guide dog r.a. and Pet & emergency companies. 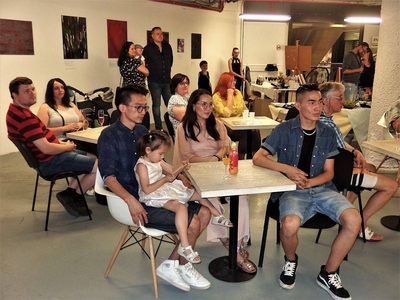 The full list of of partners taking part is to be find at the facebook site of Propomoc associasion. 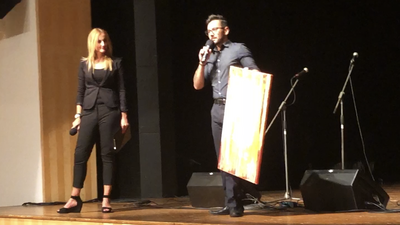 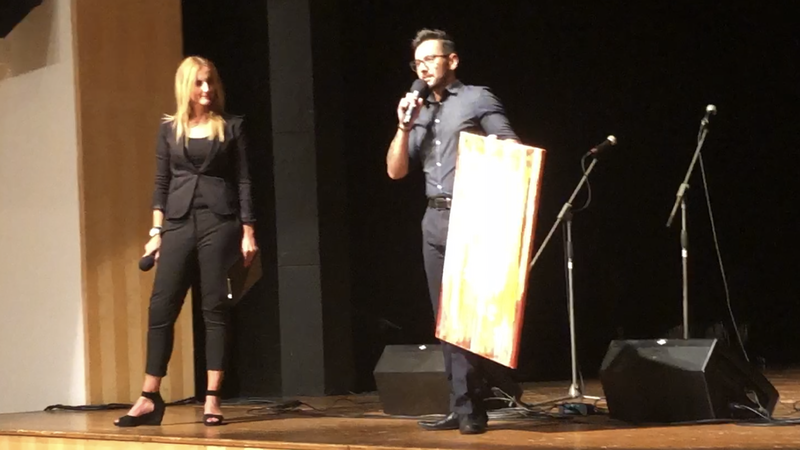 Our part of the evening was being a donor of a painting for the beneficial auction. 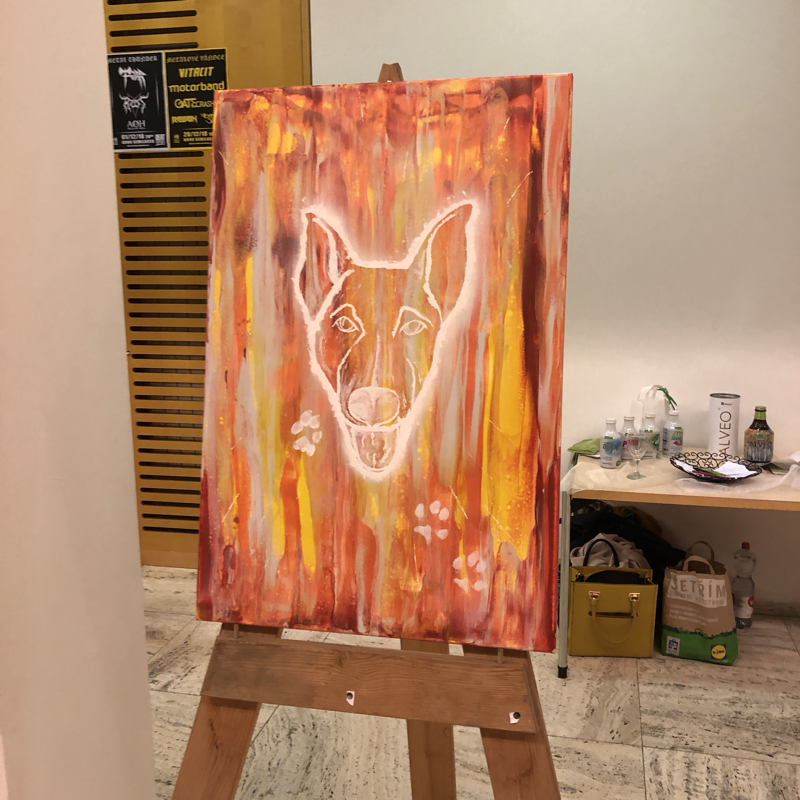 Visit The guide dog r.a. 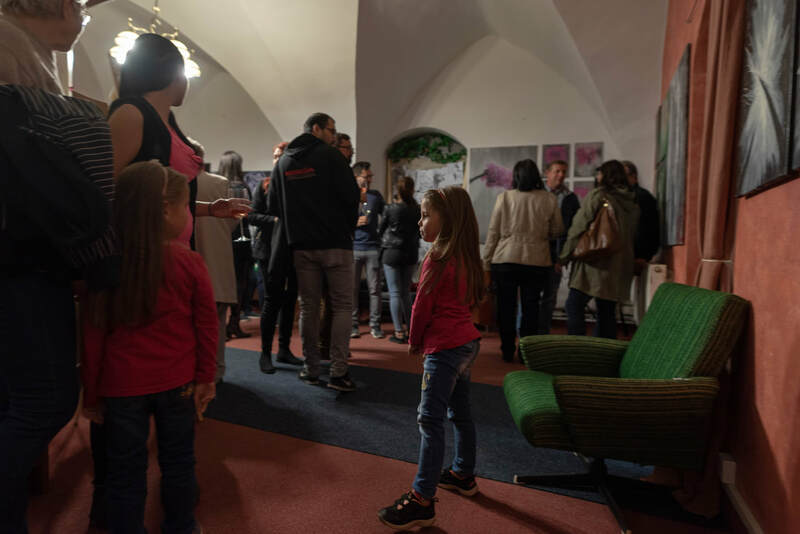 The Rainbow path exhibition took place in collaboration with Aneta Horská and her project There, where the lighthouse shines. 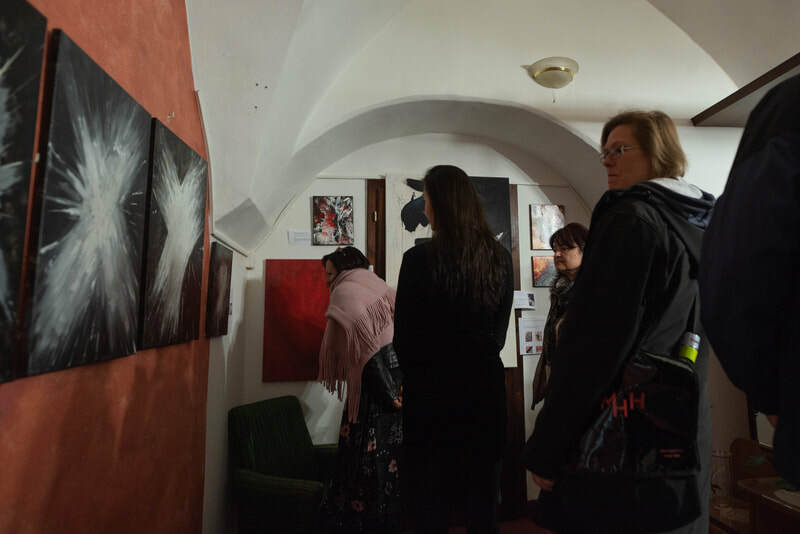 You could have seen the exhibition in June 2018. 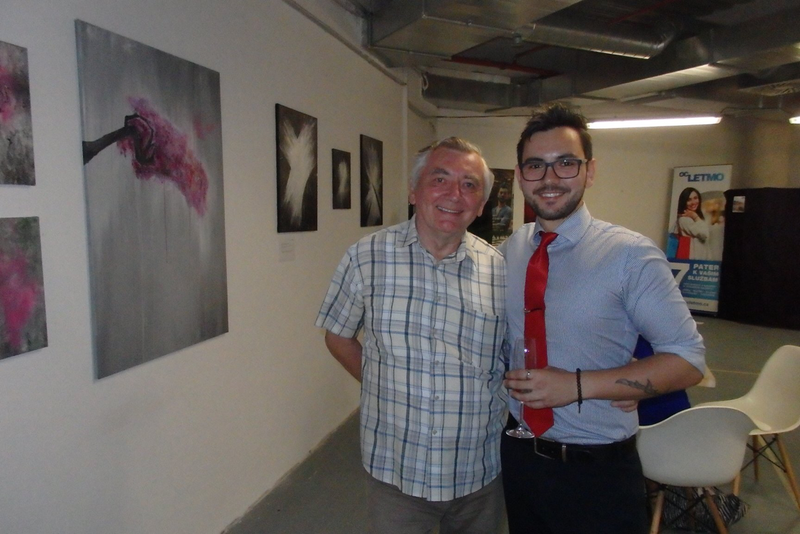 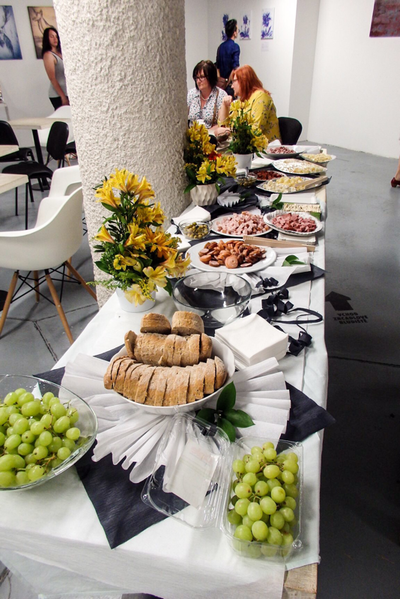 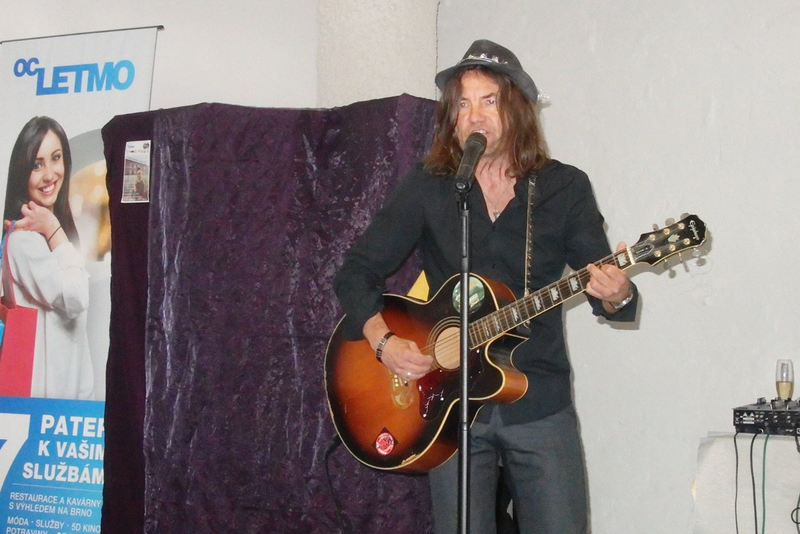 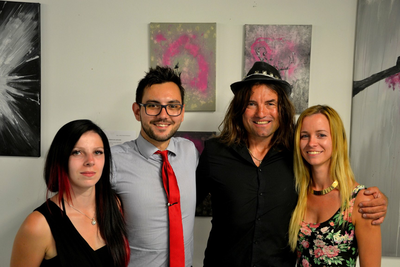 Vernissage was accompanied by Pietro Falcone, singer and acoustic quitar player.